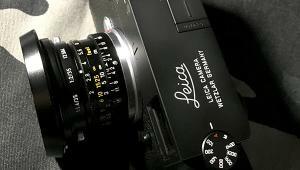 The simplicity and look of the CL is pure Leica. Image shows test lens, an APO-Macro-Elmarit-TL 60mm f/2.8. While the smooth body is attractive, testers felt it lacked a helpful “grip” texture. Fans of Leica rangefinder cameras, and you know who you are, will welcome the CL as a harkening back to the original small format cameras designed by Oskar Barnack in the first part of the 20th century, including the requisite red dot. The Leica CL mirrorless camera ($2,795, body only) is relatively small (5x3x2 inches) and lightweight (14.2 ounces with battery, sans lens), making it highly portable and well suited to candid and street photography, thus a good companion on travels and for documentary-style photography. The Leica CL mirrorless camera takes the L-mount bayonet so it can be used with Leica TL and SL lenses as well as with Leica M and R lenses with an adapter. The body itself is constructed with top and bottom aluminum and front and back wall magnesium materials. 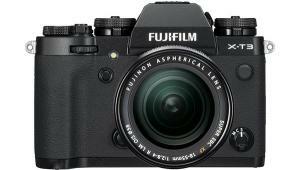 It has the classic Leica feel and touch (including that oh-so distinct shutter release) that will have Leica fans humming a happy tune with both EVF and LCD monitors and other digital accouterments. The top view of the Leica CL gives an indication of the narrow body. The built-in microphone is behind the small holes forward of the flash hot shoe. There are two control dials and a quite small LCD that displays basic information. Sporting a 24.2MP APS-C-size sensor with no AA filter, the Leica CL can deliver a native ISO range of 100 to 50,000. Shutter speeds range from 1/25,000 to 30 seconds. 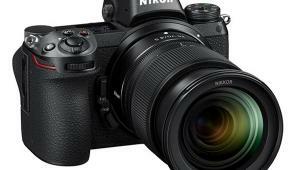 The camera can record both JPEG and 14-bit Raw (DNG format) still images and 4K video, and features 49-point contrast-detection AF with single, multiple, spot, face detection, and touch AF, plus release functionality and manual focus capability. The Leica CL’s EVF is high resolution with 2.36 million dots while the LCD sports 1.04 million dots, but is not tiltable. There is no built-in flash but a hot shoe contact is present, and while there is built-in Wi-Fi, there is neither Bluetooth nor NFC connectivity. In addition to standard Exposure modes, there are numerous Scene modes available, including Sport, Portrait, Landscape, Night Portrait, Snow/Beach, Fireworks, Candlelight, Sunset, Digiscoping, Miniature, Panorama, and HDR. When shooting in Program, a shift of the equivalent exposure is available between aperture and shutter speed; +/- 3 EV exposure compensation is available as well. The clean design and large EVF eyepiece show off the Leica design and approach to image making with this camera. The Leica CL has a long menu that opens with a customizable “favorites” section. Only three buttons sit on the left: Play, Function, and Menu. The right side holds only the toggle control with a centered “set” or choice button. The top of the Leica CL sports two large dials that can be used for a variety of settings, as well as a small LCD display. Relatively few buttons are present: two dial-with-button combinations on the top side; three buttons on the back on the left of the monitor; and a button-and-navigation-ring combination (“direction pad”) on the back. 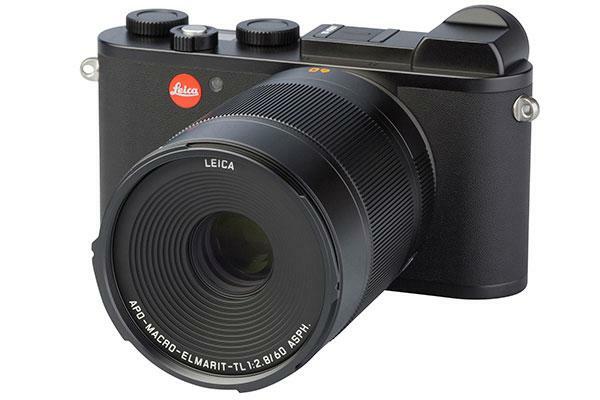 The Leica CL is fitted with a large built-in monitor and an electronic viewfinder. Unfortunately, the monitor does not tilt or swivel. The LCD monitor by default shows some of the image settings, such as the type of white balance and ISO. Regrettably, the setting icons and abbreviations are set on a black background that covers part of the image. The default view on the Leica CL's monitor is about 16:9 and not the entire 3:2 still image. Thus, the monitor preview is a crop of the image to be photographed, which can cause problems in image composition as the user may forget that part of the image is not shown. One can switch off the settings and see the entire composition, but the complete view is not the default. The settings shown on the monitor cannot be changed by touch, but only through the menu. The menu cannot be navigated by touch, although one can use touch to move and activate the focus point. (Note: Sometimes more than one touch is required in order to acquire sharpness.) Focus and shutter release can be activated with touch control, although it is not possible to set the Leica CL to focus at first touch and later release the shutter with another touch. The Leica CL's viewfinder does give a 100% field of view and it has a diopter that can be locked. The eye sensor for switching between monitor live view and viewfinder reacts a bit slowly: in addition, it is easy to take a photo with one’s nose when putting the viewfinder up to the eye, but only if focus and release touch functions are enabled in the menu. There are 49 contrast-detection AF points. The focus options available via the menu include spot, field, multi-point, tracking, and face-detection types of autofocus. Manual focus must be set via the menu, although it is facilitated with the 3x or 6x enlargement for focus assistance, focus peaking, and the rapid return to the full image (for pre-shot composition) with a light touch on the shutter release. 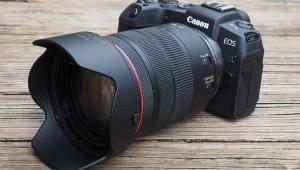 There is no built-in image stabilization: it’s only available if the lens in use has that feature. Resolution: The image quality of the Leica CL is good for this small sensor. At ISO 100, it uses 94% of the theoretical maximum of its sensor, recording 1,870 line pairs per picture height. The resolution remains high throughout the lower range of ISO settings: the CL uses 90% or more of its sensor up through ISO 1600 (90%), and in fact through ISO 6400 (91%). 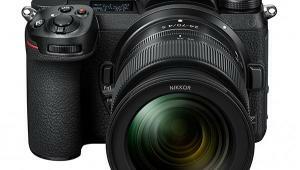 The top two ISO settings are not as good: at ISO 25,000, 85% of the sensor is used, and at the top ISO of 50,000, 82%. These high ISOs will not be very useful for photographers as they also produce disturbing amounts of visible noise, as noted below. This chart shows the noise behavior at various ISO settings. The larger the area inside a curve, the stronger the noise. Note that the degree to which noise disturbs the appreciation of an image depends on the image size and the viewing condition. The right-hand side of the chart shows the visibility of the noise in an image that is displayed at 100% on a monitor (VN1). The left-hand half shows the visibility of noise in a 16-inch-tall print (VN3). As seen on the test chart, noise remains in control up to ISO 1600 but jumps considerably at ISO 6400 and above. Sharpening and Noise: Sharpening is very mild and avoids any artificiality throughout the ISO range and only shows an expected increase at the highest settings. This very good result is maintained in both high and low contrast areas of the image. Visual noise is not obvious at the lowest ISOs, although it is very noticeable at the highest ISOs. Noise becomes observable at ISO 400 and becomes apparent at ISO 1600. At the higher ISOs, visual noise is very obvious and results in very grainy images, especially in images shot at ISO 6400 and above. The dynamic range captured by the Leica CL at the lower ISOs is excellent: 13.6 f/stops at ISO 100 and 10.5 f/stops at ISO 400. At the midrange, between ISO 800 and ISO 3200, the dynamic range is between 8 and 9 f/stops. However, at the highest ISOs, it is not as good: 6.3 to 6.5 f/stops at ISO 12,500 and above. The color test chart compares a reference color (right-hand half of each color patch) directly with the color reproduced by the camera (left-hand half of the color patch). The table below charts the deviation of the recorded colors versus the reference colors. Light green indicates a visible deviation; dark green a moderate deviation; and a red color in the table indicates a very strong deviation. Color: Color reproduction is fairly good, with only seven hues deviating strongly from the original for all ISOs up to and including ISO 12,500. The automatic white balance is very good, except at ISO 25,000. Speed: The Leica CL is fairly fast: it starts up in 1.0 seconds. 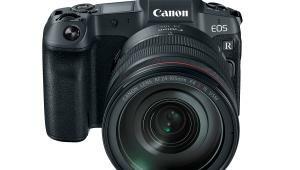 In bright light, the CL’s autofocus takes only 0.26 seconds, with a total shooting time of 0.34 seconds. In low light, the autofocus takes 0.29 seconds, for a total shooting time of 0.37 seconds. 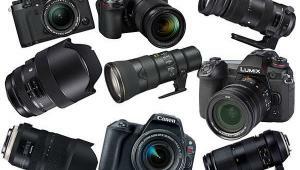 The camera can capture 9.6 JPEG frames per second (fps) until the card is full, and 9.6 Raw fps for a total of 34 shots. Video recording is clearly not the main focus of the Leica CL’s setup, which is evident by the fact that only two pages are allocated to this topic of the 99 pages in the manual. There are no external connector jacks on the camera, which includes a lack of options for connecting an external microphone or headphones. The built-in microphone is on the top of the camera body and picks up sound moderately well. The manual does note that only part of the sensor is used for video, connecting this to the change in the effective focal length of the lens in use. The Leica CL can record video in 4K at 30 fps, or Full HD at 60 or 30 fps, or HD at 30 fps. However, most other settings are automatic, even ISO. Although the manual implies that ISO is settable, the option is grayed out when the camera is in video mode. The limitations one can assign to the auto ISO range through the menu are simply not referenced. Among options in video are settings to record videos in black and white or very saturated color. 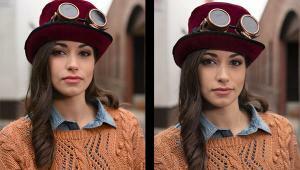 Manual focus is available, and focus peaking does work in video, although scene enlargement does not. Our standard test box shot was lit at 6500K: exposure at ISO 100 was f/8 with automatic white balance. 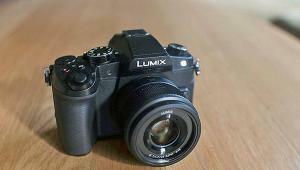 At this setting, resolution is very good, noise is very low, and there is no hint of image sharpening. This limitation placed on our tests by having only auto ISO available caused us to extrapolate our ISO/quality results: the test scene was made darker for the high ISO test measurements, presumably encouraging the Leica CL to increase ISO. Overall, however, the resolution of video frames is good and fairly consistent in both brighter (presumably low ISO) and darker (presumably high ISO) conditions. The Leica CL uses 86% of the theoretical maximum of its sensor, 931 line pairs per picture height at “low ISO” and 926 at “high ISO.” The automatic white balance functions well in both instances. As with the still image results, sharpening is mild. The Leica CL is a good-looking mirrorless camera produced by a company with an excellent reputation in the photographic field. The small size, especially with a small lens, makes it very portable, and offering the universal Raw DNG format is a real plus. While the rather poor performance at high ISO settings might be a drawback, and video capability is clearly not one of its attractions, it could prove to be a good choice for those who want a very capable still camera for travel and street photography, especially those who appreciate Leica quality along with the budget to afford it. The Leica CL (body only) has a list price of $2,795. For more information, visit us.leica-camera.com.